it's now simply a matter of the past. Samsung debuted its, at the time revolutionary, 2.0 TOUCHWIZ UI, a Mac OS X "inspired" interface. And they debuted a series of new touchscreens to complement their new OS/UI, and on AT&T's network two new phones (at the time) were the buzz of the town so to speak — they were the Samsung Impression and Samsung Solstice, both priced around the first iPhone's price range on contract. As such, today were are here to see if these two feature phones are still worth buying and using in a world of dirt cheap smartphones, if you happen to fancy an old world UI and are a heavy texter, then here is a showdown to determine which of these two phones is worth your pocket space. 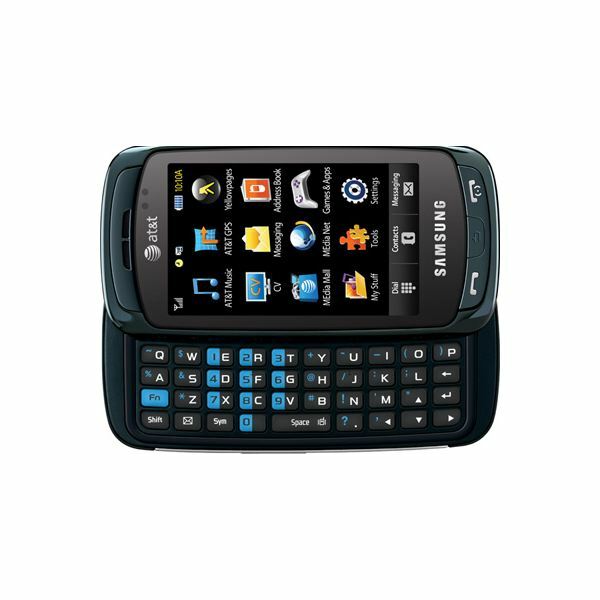 There is one very major difference between the Samsung Impression and it's younger cousin the Solstice; the Impression has a slide out physical QWERTY keyboard, the Solstice is a good old fashioned plain candybar touch phone. Samsung Impression: The Impression at first glance looks like a slightly thicker than average touchscreen phone, it weighs a presence-worthy 150g, but with dimensions of 114 x 58 x 15 mm it sits with perfect comfort within the palm. The Impression has a very beautiful AMOLED screen, one of the first phones to debut with AMOLED technology. That was, and is, one of its biggest selling points, the screen is resistive but you'll hardly notice, sensitivity is on par with the Samsung Jet's legendary responsive resistive screen, so don't let it turn you off the phone. The screen has a standard resolution of 240 x 400 pixels, supports 265,000 colors and stands exactly 3.3 inches tall. The phone's front facing buttons are the physical Call, Back/Clear and End call buttons, the left side hold the volume rocker and a task manager which opens up all active apps, while the right side holds the dedicated camera key and lock/power button. Other peripheries include proximity and light sensors and the propriety charging/USB/ earphone port, yeah… the Impression has a shared port from the dark days of mobile technology. The back has the square 3.2 MP camera lens and clover like loudspeaker grill, nothing more. Popping off the back reveals the microSD card slot, while taking out the battery shows the SIM card slot. Now for the true showpiece… the keyboard. And it is one of the finest keyboards on a mobile phone, almost regardless of year. The keys are flat and wide, sort of like an island-style QWERTY for phones, they are slightly raised, have Back lighting and come with excellent travel — even the number buttons are colored blue for easy recognition. 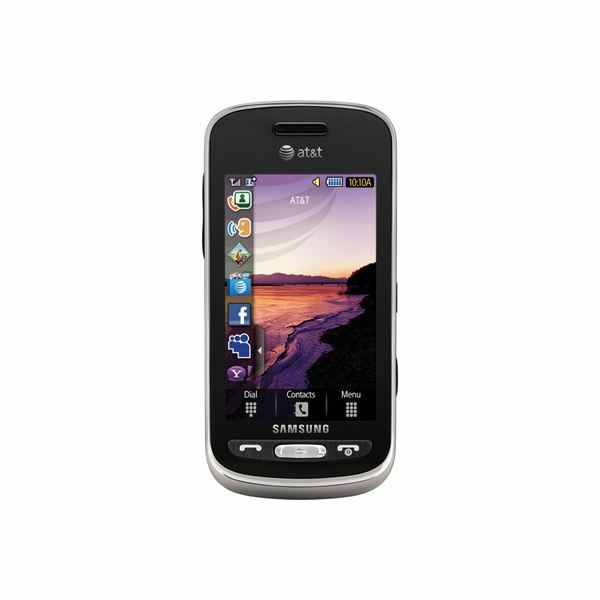 Samsung Solstice: The Solstice is another palm friendly phone in terms of both weight and dimensions, as it weighs 94g, pretty light back in 2009, and the dimensions of 109 x 53 x 12.7 mm are not going to stretch your palm in any way. The screen is a LCD screen, very bright and with deep colors, but no real match for an AMOLED screen. Otherwise the screen's resolution, color support and size is exactly the same as the Impression's. But the sensitivity is not, this is a resistive touchscreen and you can feel it resisting you — not as bad as other resistive screens, but certainly not among the best either. Physical buttons are the same old Call, Back and End call buttons upfront, left side has the volume rocker and oddly placed lock button as it rests directly on the left corner. The right side is home to the dedicated camera button, quick menu key and proprietary charging/USB port/earphone port. The back has the round 2 MP camera lens and two thin stripes that serve as the loudspeaker grill. I'd rather dig for oil with a teaspoon than try to unearth the Solstice's microSD card; it's behind the back cover, behind the battery, underneath the charging teeth, the SIM card is easier to access than the microSD card, absolutely horrific placement. Peripheries include a proximity sensor but no ambient light sensor. Two things to note about both phones, they are not built for abuse, be gentle and careful, lastly both have pretty awful sunlight eligibility; they become mirrors in direct sunlight. Both phones feature the TOUCHWIZ 2.0 user interface, a docked widget based system. Samsung Solstice: You have only one home screen to populate widgets with, and out of the 19 available widgets you can fill up the home screen with about 6 of them. Widgets range from practical things such as the Music player, Clock and Weather widget, and a series of non deletable icons that simply take you to the AT&T store and are mostly shortcuts to other websites, you can't add new widgets, though you can customize which ones are displayed in the sliding in/out widget tray. Other than that, you have three permanent icons at the bottom of the screen, these are the Phone book, Dialer and Main menu icons. The Phone book features a letter based guide system, just scroll up or down with the side tab to the first letter of your contacts name, and you should be well on your way to dialing the contact. Once found, you can either choose to send the contact a message or simply call them, no e-mailing options are available. The dialer is pretty simple, nice big numbers and no smart dialing — no voice dialing for that matter either. The main menu is organized in a series of icons upon one page, you'll have to dig deeper into sub menus in folders such as Media and Games&Apps. Others such as Media Store and Media net are simply linked shortcuts to AT&T services, none of which are free. Messaging is done in one of three ways: the traditional D-pad, Hand writing recognition and once in landscape mode with a touch QWERTY. The D-pad and QWERTY keyboards do their job respectfully well, not the best but you'll get the hang of both within three days. The Handwriting has the ability to recognize finger based inputs about as well as a brain dead Orangutan. "Hi" always comes out as "Lfi"; it's an almost useless feature. The Solstice was marketed as a text savvy phone, but it falls short in a few respects. First is the lack of any Gmail or obscure e-mail clients, secondly IM only supports AIM, Yahoo and MSN, if you're on any other network… no luck — of course downloading E-buddy or something similar will deal with all your IM needs efficiently. The phone supports SMS, MMS, E-mail and IM; POP settings are useless as you can't set up a mail inbox account other than the predesignated ones, and Gmail is not one of them. No IMAP4 support. Over all the UI is swift, there is a medium amount of lag, but then again it's not overly disruptive of the entire experience. Samsung Impression: The UI and its features are exactly the same as the Solstice's; the only place it differentiates is in the messaging sector. The phone's UI goes into landscape mode once the keyboard is slid out, while the touch screen remains functional. Also the handwriting recognition is pretty good; 8 out 10 times it'll produce the correct output. You also have at your disposal a very well designed touch based QWERTY, with outlined letters, and Haptic feedback. It's really a very solidly tailored messaging experience. Please continue to page 2 where our Samsung Solstice vs Impression review continues. 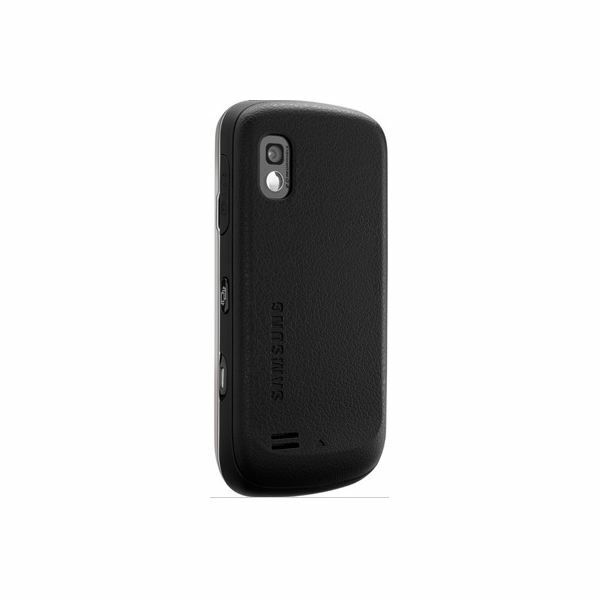 Samsung Impression: The Impression is a globetrotting phone, as it is a GSM phone that supports the 850, 900, 1800 and 1900 range of frequencies. High speed connectivity is handled on a 3G connection via HSDPA 850 and 1900, local connectivity is catered for with Bluetooth 2.0 and microUSB 2.0, no WI-FI, sorry. The phone's internal memory is limited to a 190 MB, but you can bump it up to a maximum of 16 GB with a microSD card. The phone's 3.2 MP camera with a maximum resolution of 2048×1536 pixels, shoots amazingly clean, bright and fuzz free pictures. It easily rivals the Samsung Monte's excellent 3 MP snapper. You also have a few options to play around with, such as ISO balance, smile shot, panorama view, multi-shot, geo-tagging, face detection and many others. The camera also automatically edits a picture on its own, by adjusting the brightness, and unfortunately you can't turn off the feature. There is no auto-focus or flash but, nevertheless in bright lighting, details turn out very sharp and detailed, while in low light, pictures tend to take on an orange-like tinge, but picture quality remains satisfactory nonetheless. Music is a pleasure to listen to on the Impression, the sound quality is amazing. The interface is not however; you get a large thumbnail to view album art in, and the back/skip, play, forward/skip buttons. You can choose from preset equalizer settings and search and organize your library via the normal selections of Genre, Album, Playlist etc. The sound quality remains stellar even at the loudest setting, and there are no screeches or warbles at all. The player supports the following formats–MP3,WAV,e-AAC+,WMA and AMR. Videos on the other hand, are a bit of a letdown. You can only play a maximum resolution of 320×136, in MP4 (H.264) and 3GP, and there is no portrait viewing option. But the AMOLED screen more than makes up for any faults — videos play clear and smooth with a consistent frame-rate, so you won't regret watching videos on the Impression at all, plus you can stream YouTube videos as well. The Impression has a host of pretty useful features, such a bare bones photo and video editor, voice memo, AT&T Navigator, XM Radio, MusicID, Make-UR-Tones, JAVA, GPS, calculator, stopwatch, notepad, timer and calendar. Samsung Solstice: The Solstice has the same exact set of connectivity options as the Impression, with the only difference being the internal memory is a single MB less at 189 MB. The Solstice's 2 MP camera with a maximum resolution of 1600×1200, is nowhere near as good as the Impression's. Apart from the lower resolution, pictures turn out with a lack of detail on intricate objects, like a spider's web, and a complete nightmare in low light conditions. In strong light, pictures tend to look painted rather than shuttered, and overall the picture quality is just plain bad. You don't even get the automatic edit — of course there is no auto-focus and Smile shot is the only noteworthy option. Music capabilities on the Solstice match the impression in terms of features and functions, but sound quality takes a pretty bad beating, particularly on the loudspeaker, as sounds are screechy on the loudest setting and sound tiny and hollow on the medium volume setting. Playing videos is also pretty much the same, with picture quality being slightly less impressive then the Impression's. As for features, formats and modes, they are all the same as the Impression's. Included features are pretty much a clone of the Impression as well, with the only difference being the lack of a video and picture editor. As we arrive at the crucial end of our review, were take a look at the competing phone's call quality, web experience and battery life. Samsung Solstice: The Solstice's phone quality is middling, while callers sound relatively clear and crackle free on your end, you tend to sound distant and muted to most callers, plus there is the occasional stirring of background noise. The signal does hold well, but it's no dead zone survivor. On the loud speaker, that same issue plagues calls as did the music player; voices sound screechy and tiny. Web browsing is not bad really, Samsung's famed one-finger-zoom is not available, so you'll have to rely on the on screen zoom button and tap to zoom, pages are rendered without overview, so you will have to do an epic amount of scrolling on image and text heavy websites. The good news is that the LCD screen allows text to be read without prolonged squinting and pages load on an average of 5 seconds on 3G, so overall it's a "good" but not "very good" browser. Battery life is rather disappointing, the Li-Ion 1000 mAh battery pulls of about 4 hours of talk time and can last for 2 days on minimal use, while average use will leave it with a bit of power even on the second day, but this a phone you will need to charge daily. Samsung Impression: The Impression has a much better level of call quality, voices sound clear and distinct on both ends, the loudspeaker is excellent with no voice distortion even at the highest setting, signal strength is good but not amazingly so. So unlike the Solstice's "good" rating, we can rate the Impression "very good" without any problems. The web browsing experience, is a carbon copy of the Solstice's browsing experience, nothing better nothing less. If anything at all, the scrolling experience feels a bit smoother. The Impression comes with Li-Ion 1000 mAh, just like the Solstice, and you get about 4 hours and 30 minutes of talk-time, the survival rate is the same as the Solstice's; this is another phone you'll need to charge daily phone. So the results are in, with a undefeated streak of four out of four, the Samsung Impression is the better phone, though outdated nonetheless. But if you want one of the best and cheapest touchscreen and physical QWERTY keyboard combinations, the Impression is hard to beat. The only truly disappointing thing is the lack if Wi-Fi — it would have probably been one of the best feature phones out there, if not for the lack of Wi-Fi. 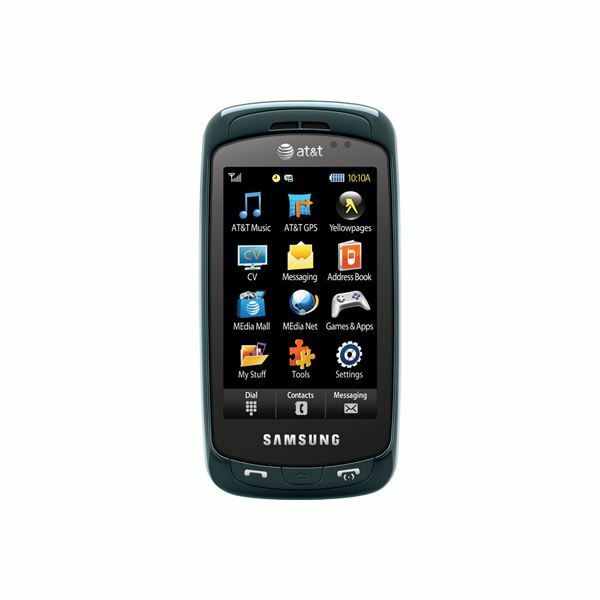 As for the Solstice, the Samsung Jet will easily replace it, being one of the few phones from 2009 that can still stand toe-to-toe with today's phones — the Jet is the overall better phone, as long as you don't need a physical QWERTY.